May – Britt Moser and Edvard I. Mosser. Credit@NTNUviaflickr. Using nanoscopy to visualise nuclear division in a mouse cell. Credit@Lotharschermelleh. 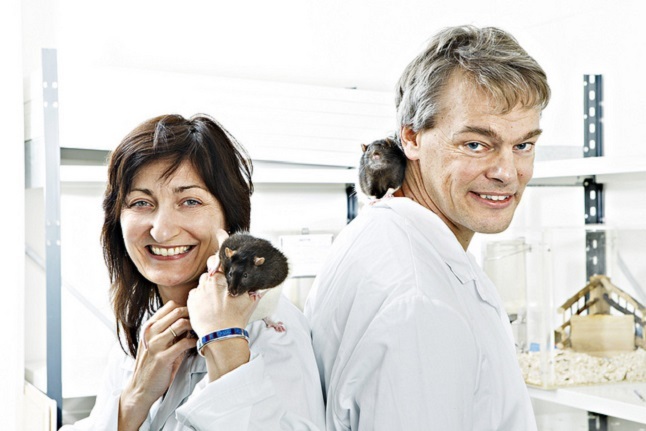 May – Britt Moser and Edvard I. Mosser recipients of the Nobel prize for physiology or medicine. Credit@NTNUviaflickr.